Oh Dad! 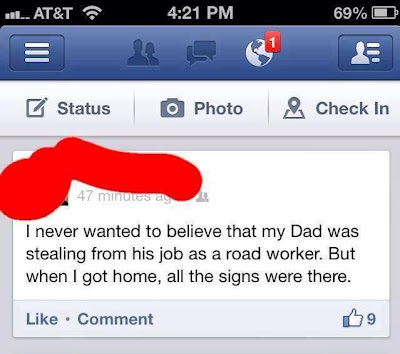 Bring me home a "yield" sign. I want to carry that with me at all times.